to replace your old noisy time card machine. Works with Windows 2000/2003/XP/Vista/7 and Windows 8. With LionClock, you will never have to total your employee hours manually! 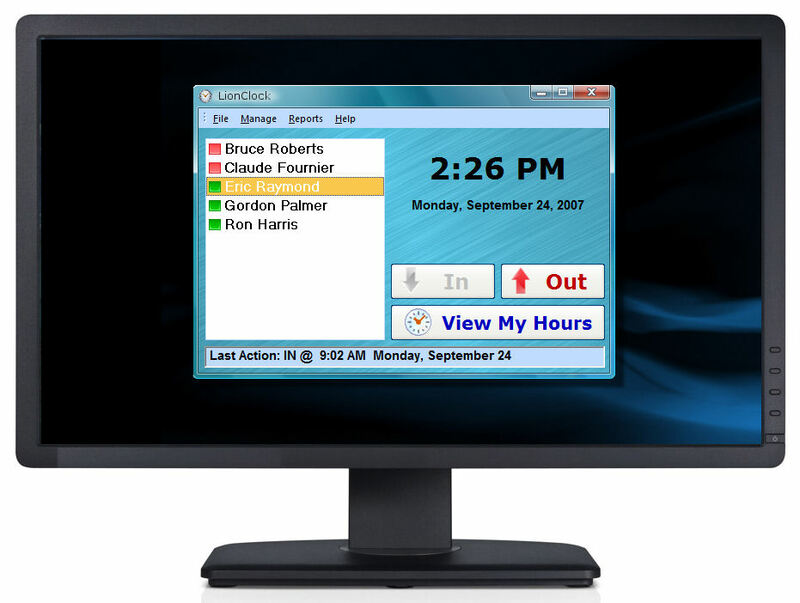 Since 2001, LionClock® has been the time clock software of choice for more than 9800 companies in North America including business firms and offices, manufacturers, retail stores, schools, colleges, universities, medical clinics, non-profit organizations and many others. All these companies can't be wrong about their choice! LionClock® helps you to forget about your time and attendance problems allowing you to concentrate on other, more important things. Download a free demo version of LionClock today and see for yourself.